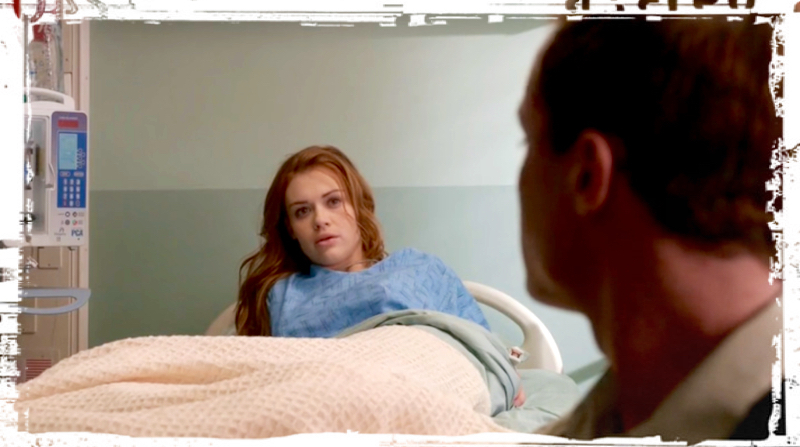 Lydia is trying to help Deputy Parrish figure out his supernatural powers. They’re still being annoyingly flirty. She’s in high school, deputy! 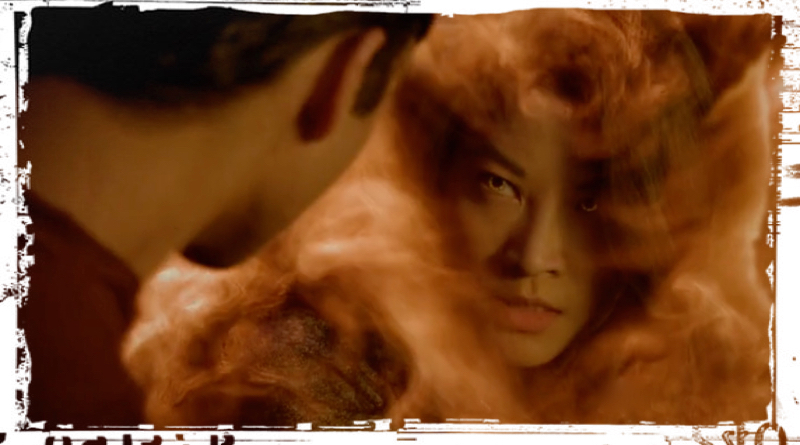 Since Parrish escaped unscathed from a burning car, Lydia figures his power is connected to fire. Lydia is testing him with a lighter, which he can tolerate if he doesn’t think about the flame. When she asks him what he was thinking she held the flame to his hand, he tells her he was remembering a dream he’s been having for the last six months. In his dream he takes a burned body to a huge stump in a clearing. Lydia explains the stump is real—it’s the Nemeton—and that it’s sort of a beacon for supernatural creatures like him. He doesn’t share the last part of his dream, in which he places the dead body on the stump amongst all the other dead bodies surrounding the Nemeton. I guess they’re not quite close enough for this additional disclosure. 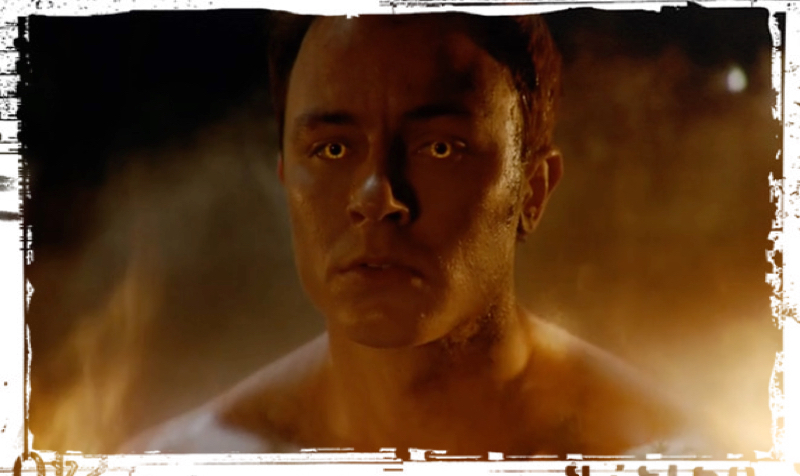 In his dream (or vision, or memory, or hallucination), Parrish’s entire body is flaming à la the Human Torch. In the aftermath of the Kanima attack from the episode, “Dreamcatchers,” Scott, Stiles, Theo, and Dr. Deaton arrive at the decimated sheriff’s station to find Lydia severely wounded and Tracy dead. Stiles is stunned when he see’s Lydia’s pale face, but Theo springs into action, using his belt as a tourniquet to stop her bleeding. Dr. Deaton, Scott, Stiles, and Sheriff Stilinski find Malia standing over Tracy. She defensively explains that she didn’t kill Tracy, but it’s not clear if Stiles believes her explanation of the three masked men. Tracy is still in Kanima form and Dr. Deaton insists they must take her body to the clinic. Sheriff Stalinski begrudgingly agrees, feeling uncomfortable out how the need to keep the supernatural world secret forces him to violate professional protocols. It’s not clear why this particular line is so important to him since calls upon Scott’s pack with regularity and keeps all kinds of supernatural secrets. It’s not easy being a responsible adult in a world full of supernatural teens. The Dread Doctors have broken Donovan out of jail, or at least that’s what it seems. They pull out all his teeth, which looks even worse than it sounds. From his bloodied gums a mouthful of needle-like sharp Wendigo teeth suddenly emerge. Ouch. As she is wheeled into surgery, Lydia instructs her mother she can’t tell anyone what she saw at the Sheriff’s station. More adults are getting pulled into the supernatural secret-keeping club. 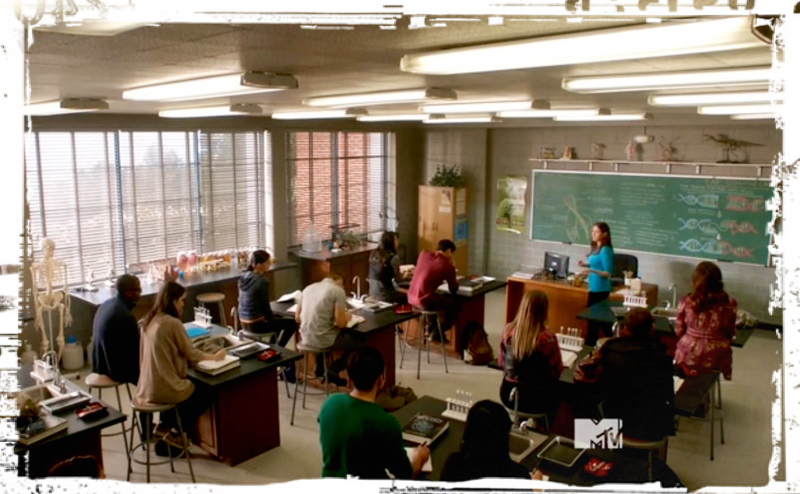 Already a club member, Melissa McCall talks to Scott and the others about Lydia. She tells Theo that he probably saved her life with his tourniquet, which only serves to irritate Stiles. Though no one believes him about Theo being bad news, he doesn’t seem ready to embrace Malia’s story of the Dread Doctors. He’s kind of being a jerk to Malia. In surgery, Lydia has visions of the Dread Doctors experimenting on her. At least we think they’re visions. Back at Stiles’ house, Malia watches as he works on his fancy display board, adding Tracy Stewart’s name to his investigation. 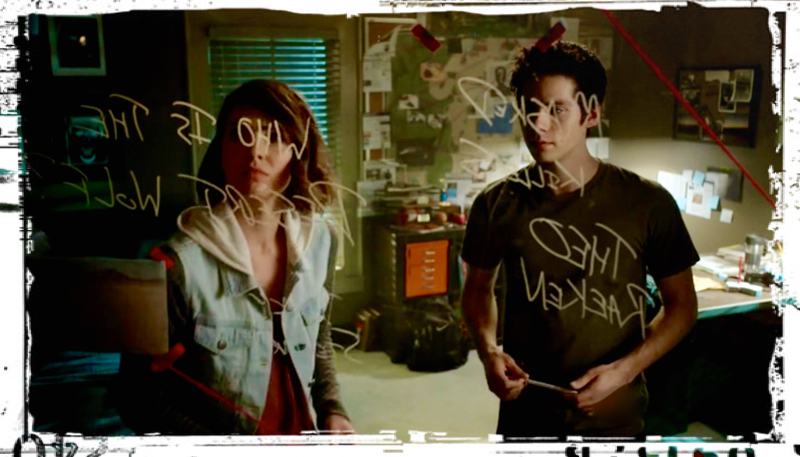 Malia erases “Who is the Desert Wolf?” that Stiles has written on his board, indicating she doesn’t want to know any more about her mother. Who can blame her? Learning about the Desert Wolf may be causing Stiles to question what Malia is capable of, despite all her efforts to embrace the human world. Upon arriving home, Scott begins to comfort Kira, but their make-out session is interrupted by the sudden appearance of Dr. Deaton. Awkward. Dr. Deaton is concerned because both the werewolf who attacked Scott in “Creatures of the Night” and Tracy Stewart had physical features from different supernatural creatures. The disparate body parts and their ability to cross a mountain ash barrier, has led Dr. Deaton to believe that Tracy wasn’t a supernatural creature. When Scott tells him about the holes in the woods Liam found, Dr. Deaton supposes that burying people could be part of the process of creating these creatures. He tells Scott and Kira to protect each other and their friends, and he will be gone for a few days. Dr. Deaton is rattled that someone could cross boundaries to create creatures like these, noting, “The rules have changed.” That’s bad for us since we can barely keep track of the supernatural rules. Looks like AP biology class has some practical benefits, as Scott and Kira try to use information about human DNA to understand how Tracy and others are being engineered into creatures. Are her lessons are coincidently relevant for Scott or does this teacher have some connection to the supernatural world? They learn though there cannot be more than one species in the same DNA, there can be multiple sets of DNA in the same individual, which is referred to as a chimera. Huh? Like Dr. Deaton, we don’t like our supernatural lore muddied by actual science. Scott is called out by his teacher for not doing the previous night’s reading, which is one of the many downsides to fighting evil on a school night. She singles out some students by handing them drop forms and leaves the rest on her desk “for all those now acutely aware that they do not belong in this class.” Scott takes a form as he leaves, but we think he’ll stick it out. After all, he’s already highlighted the entire textbook. His teacher must have gone to a teaching college that uses shame as a pedagogical tool. Theo has dropped in to the Dread Doctors lab to have a word with Donovan. Theo goes on and on while Donovan struggles to get free. He never asks Theo for his help. Perhaps evil recognizes evil. Theo has the psychological assessment that Donovan took when he applied to be a deputy. Who doesn’t have access to this document? As well as having challenges in Anger Expression, Donovan scored high in the Psychopathic Deviate scale. Theo points out that despite rejection by law enforcement, Donovan has real power now. He suggests that rather than use this power to attack the Sheriff, he would inflect more pain if he goes after someone Sheriff Stilinski loves. 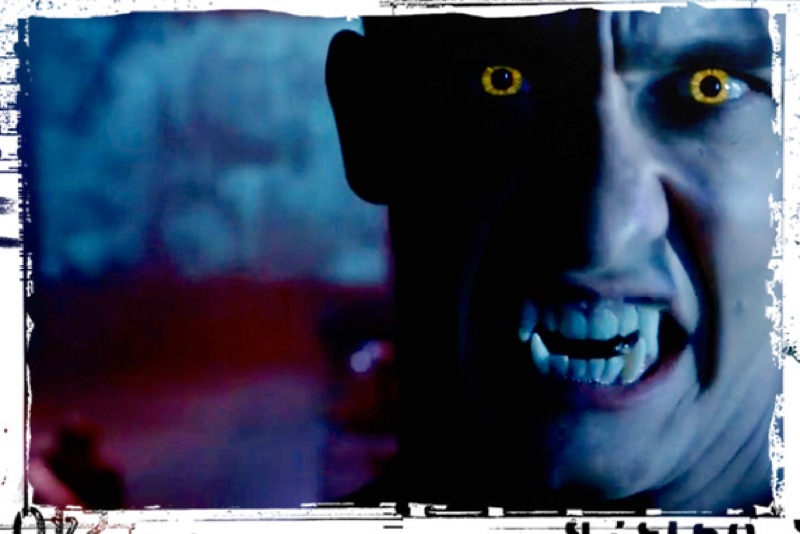 Theo intends to sic Donovan on Stiles, which could eliminate the biggest barrier to joining Scott’s pack. 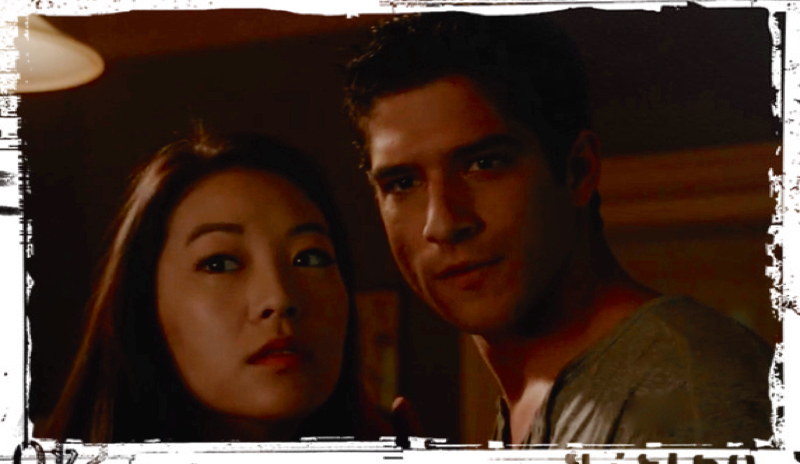 Stiles and Malia meet Scott and Kira at the library, bringing along a Bestiary. We want one of those! There’s an entry about Beserkers, the creatures that attacked Scott in season 4. They look for a description of a chimera creature made of incongruous parts. 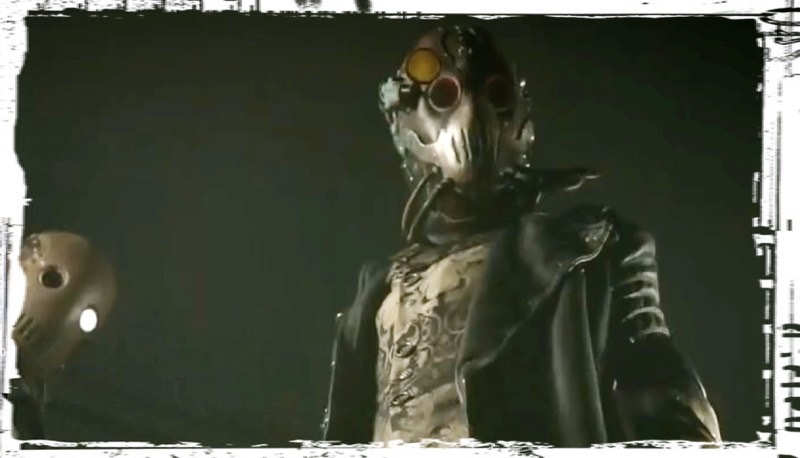 Scott shares that burying people might be part of their process by those who are creating chimeras, and Malia adds “The people in masks,” and everyone looks uncomfortable. 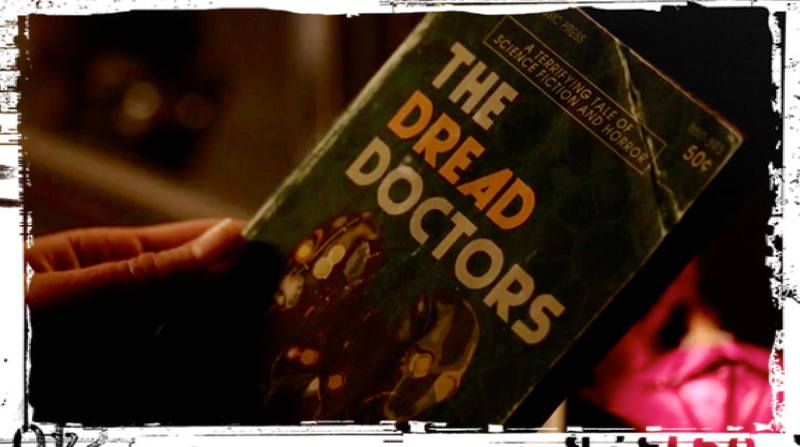 It’s not clear why the Dread Doctors would be any less unbelievable than supernatural creatures roaming about. The group’s skepticism about Malia’s story can only end badly. Kira turns the page of the Bestiary to an entry on the Wendigo, where it notes, “A Wendigo is strong enough to not only fight an Alpha Werewolf but to possibly win such a fight.” If Donovan really is being turned into a Wendigo, this won’t be good news for Scott. But let’s face it, when does he ever get good news? The thrill of the supernatural world has quickly worn off for Mason, who wants Liam to focus on getting drunk and helping him pick up dudes. For some unknown reason the club has the 15-year-old girl who hates Liam, Hayden, working the door. Mason manages to bribe her to get Liam in. Who needs ID to get into Sinema when you have fifty bucks? Devonford Prep werewolf Brett is also at the club, which Mason is pretty excited about. As Mason and Brett become bros over drinks, Liam watches Hayden who is serving drinks at the club. Apparently she needs the money for something. Maybe she’s got a brother in jail she’s trying to bail out. Liam hears strange footsteps at the club, but they are eventually drowned out by the music. Liam asks Brett if he senses anything, but he doesn’t. Liam tells him that whatever it was, it felt wrong. Mason comes over to Brett and asks if he knows the dude watching them across the club, and Brett responds, “Yeah. That’s Lucas.” Is it scorpion dude Lucas? As Lucas looks over at Mason, stingers emerge from his arm. Guess it is. At the same time, Liam’s spidey senses tingle and his eyes turn yellow when he realizes there’s something dangerous at the club. The boy in the hospital, Corey, tells Scott and Kira that Lucas was acting strangely today, more confident than usual. They were kissing when he felt a sting in his arm. When he looked up at Lucas’s eyes had turned black for a moment. Corey was supposed to meet Lucas later at the club Sinema. As he tries to make his way across the club, Liam runs into Hayden and knocks her drinks over. She’s angry, but then again, she’s always angry. He gives her all the money he has, but she still tells him he still owes her $200. Her mysteriously bitter act is getting a bit old. Maybe the Dread Doctors will kidnap her and put all that anger to work. Mason has met up with Lucas. They are in a back room where Night of the Living Dead is being projected onto Mason’s shirt. As they start to kiss, stingers raise up on the back of Lucas’s neck. Scott and Kira are rushing to the club. 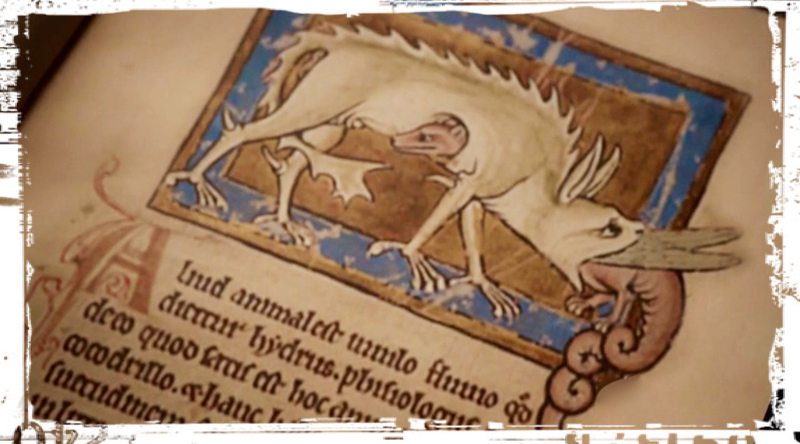 Scott tells her that the Bestiary described a hybrid of a werewolf and a scorpion from Sumerian mythology. When they break into the back door an alarm sounds, but Kira quickly silences it with a piece of her sword. Scott turns to her and says, “God, I love you,” leaving her wondering exactly what he meant. Malia has left a sleeping Stiles drooling over the valuable Bestiary at the library in order to check out Tracy’s room. After looking through Tracy’s drawings, she finds a novel that someone lent to Tracy on her bed stand. She’s horrified to see that the book is titled “The Dread Doctors” and the cover has an image of the masked beings she saw kill Tracy. Real or not real? Kira gets out her sword and begins fighting Lucas, after Scott is knocked down. But it’s Liam who finally throws down Lucas. Lucas’s eyes lose their blackness as he begins to shift back into human form. Suddenly Kira goes full-on kitsune and starts speaking Japanese as she flies towards Lucas with her sword. Before she can kill Lucas, Scott jumps in and stops her. As Scott holds her wrists and stares into her eyes, her orange fox aura dissipates. Kira looks sheepish, but we’re not sure why because she was awesome! Sure she was going to kill that scorpion dude Lucas, but she can’t help it, she’s a fox. Seemed like the story is over, but Teen Wolf likes to surprise us. When Scott and Liam prepare to move Lucas, a harpoon comes down from the rafters, killing Lucas. They look up and see the Dread Doctors and their steampunk machinery. Surprisingly, Scott’s first instinct is to ask questions. The terrifying doctors disappear into the blackness. The good news is that now they know that Malia was telling the truth. Jerks. The bad news is that they still know very little about the Dread Doctors. Perhaps somehow the supposed work of fiction Malia found will uncover some additional information. If not, at least they’ll enjoy a fun read. And just when we think the episode is really over, we find Scott and his mom hanging at the hospital morgue. She tells him that the hospital will develop an explanation for the stingers in Lucas’s arms. Scott questions if they should just be telling the truth. Scott is beating himself up for Lucas’s death, saying he should’ve done better. His mom gives him a pep talk. When Scott and his mom finally leave the morgue we figure the show is over, for reals this time. Then a figure comes through the door opening the drawer where Lucas’ body is stored. It’s Deputy Parrish!!! We act surprised, but we’re really not. Just as he does in his so-called dreams, which clearly are not dreams, he takes the body to the Nemeton stump where he lights it up with his flaming body. Hey! That was a cool ending! Or was it? Stiles stands in a deserted parking lot, applying duct tape to his steaming jeep. Afer all, duct tape is the handyman’s secret weapon. As Stiles tapes up his radiator hose, Donovan walks up behind him, holding out an open palm. As he gets closer we see that his palm has a mouth on it, which Donovan uses to bite Stiles shoulder. Stiles screams and now the episode really is over. What the hell? 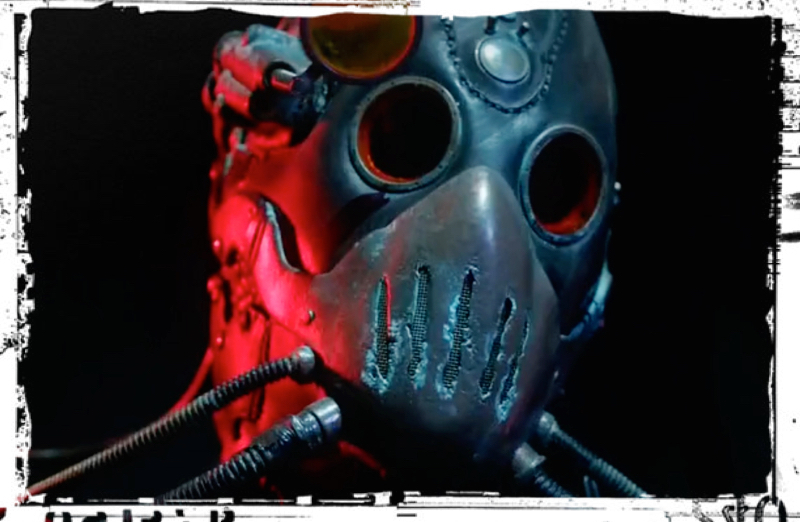 In “Condition Terminal” it becomes clear that the Dread Doctors have been quite busy with their experiments. It also appears that Theo has some kind of special relationship with them. If in your heart of hearts you didn’t want to believe that Theo really was a bad dude, those hopes have now been dashed. The question is whether or not Scott will see that Theo is bad news. For now, he will probably be too distracted by the Dread Doctors and the attack of his BFF Stiles. In “Condition Terminal,” Teen Wolf has given us an ending filled with suspense. The next Teen Wolf can’t come too soon as we wait to learn what happened to Stiles. At Comic-Con creator Jeff Davis warned that something would happen at the start of episode 5 that would create a rift between Stiles and Scott. Let’s hope it’s nothing terminal.